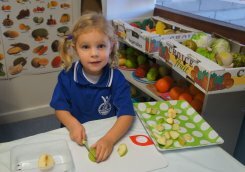 Adam Road Primary School offers a comprehensive curriculum encompassing all aspects of the Western Australian Curriculum supported by additional school based programs to meet the needs of all students. 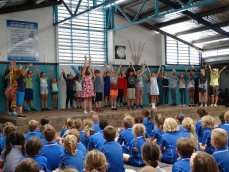 As a primary school, our major focus is on all students developing effective literacy and numeracy skills while offering a broad range of programs to cater for the needs and interests of our students. A literacy progression has been developed for all Kindergarten to Year 2 classrooms which ensures a sequential and developmental approach to building early literacy skills and targeted intervention. Our school has an extensive wireless network, with sets of laptops and iPads being available for classroom use to support the implementation of the curriculum. 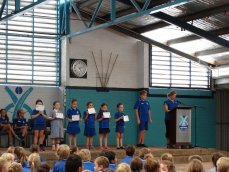 2018 is the commencement of our BYO iPad program, initially for students in Year 4 & 5. These students will have the opportunity to bring an iPad to school daily to be used as a tool to support and enhance their learning. This early intervention program is supported by a speech pathologist and implemented by a trained Education Assistant. Identified students from Kindergarten to Year 3 are withdrawn from the classroom and work in small groups. Visual Arts The school has a purpose built art room. 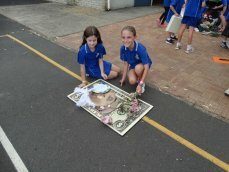 All classes from Years 1 to 6 attend Art once a week with a passionate Visual Arts specialist. Children develop their skills in many aspects of Visual Arts including painting, drawing, sculpture, clay work, printing and textiles. Music The school offers a dynamic music program for all students in Years 1 to 6. A music specialist immerses children in a wide range of music and movement skills. In addition to the weekly program, students have the opportunity to participate in choir and the instrumental music program (IMMS). 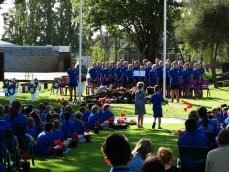 These students perform at the school ANZAC service and Graduation Assembly. 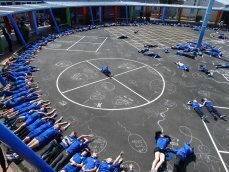 Physical Education The Physical Education Program at Adam Road Primary School aims to promote an active and healthy lifestyle, while providing students with the opportunity to further develop their physical and interpersonal skills. 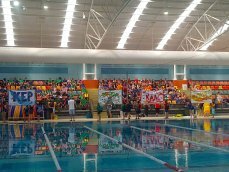 The school participates in a variety of local interschool carnivals and sporting fixtures. Science Science as a specialty teaching area was initiated in 2015. All students in Years 1 to 6 attend Science weekly in a purpose built laboratory. Students engage, experiment and question the world around them. Primary Extension and Challenge Program Primary Extension and Challenge (PEAC) is a part-time withdrawal program for upper primary school Years 5-6 students. Identified gifted and talented students are selected to participate in differentiated programs offered in a range of delivery modes. This program is designed to challenge and extend more able Year 4, 5 and 6 students. Selected students work in small groups with specialist teachers. This early intervention program is supported by a speech pathologist and implemented by a trained Education Assistant. 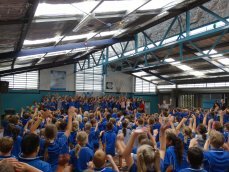 Identified students from Kindergarten to Year 3 are withdrawn from the classroom and work in small groups..
Year Six Camp A Year Six camp is held annually and is run over 3 days and 2 nights. Information regarding camp can be obtained from the school office. 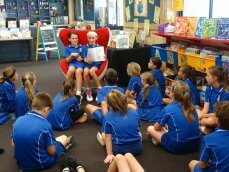 Incursions During the year, students are offered the opportunity to attend visiting incursions. 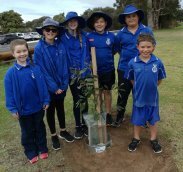 Incursions are chosen because of their link to a specific learning area or because they support our School Behaviour Management Policy. Excursions Where relevant, classes are taken on excursions. These excursions are always linked to the teaching and learning program taking place in the classroom.